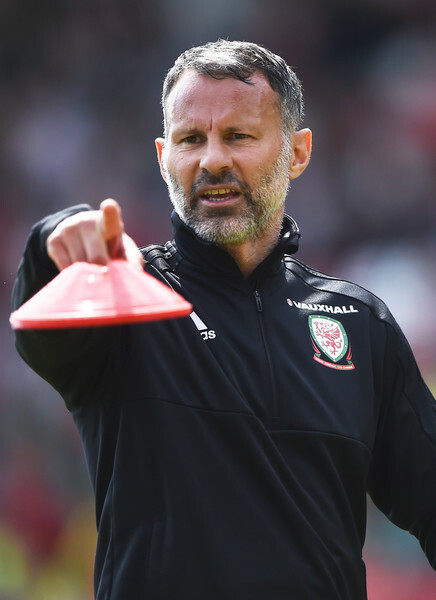 With Wales’ chances of qualifying for Euro 2012 gone, the FAW are set to arrange a friendly international in November with a big named nation? posted: Thu, 11 Aug, 2011 11:23 UK. Midfielder Benjamin Balazs gave Hungary an early lead, Lee Lucas levelled just before the half-time interval. Zsolt Haraszti scored the winner very late on to earn Hungary the win. 1.Chris Maxwell (Wrexham), 2.Daniel Alfei (Swansea City) Capt, 3.Kieron Freeman (Nottingham Forest), 4.Lee Lucas (Swansea City), 5.David Stephens (Hibs), 6.Troy Brown (Rotherham United), 7.Jake Taylor (Reading), 8.Jake Howells (Luton Town), 9.Richard Peniket (Fulham), 10.Billy Bodin (Swindon Town), 11.Jonathan Williams (Crystal Palace). Subs: 12.Rhys Taylor (Chelsea), 13.Tom Bender (Colchester United), 14.Joe Walsh (Swansea City), 15.Elliott Hewitt (Macclesfield Town), 16.Reece Jones (AFC Wimbledon), 17.Casey Thomas (Swansea City) 18.Robert Ogleby (Hearts - loan East Fife). Richard Peniket (Fulham), has been called up. Despite not being in the initial squad or on stand-by. The Fulham forward has been injured with a twisted ankle but played for his club in an u18s friendly at Bristol yesterday and scored in a 2-2 draw, also called up are Casey Thomas, David Stephens, Kieron Freeman, Elliot Hewitt and Reece Jones. Out are Paul Dummett, Ashley Richards, Joe Partington, Ryan Doble, Elliot Chamberlain and Tom Bradshaw. Rhys Taylor (Chelsea), Chris Maxwell (Wrexham), Daniel Alfei (Swansea City), Tom Bender (Colchester United), Troy Brown (Rotherham United), Joe Walsh (Swansea City), Lee Lucas (Swansea City), Jake Howells (Luton Town), Jake Taylor (Reading), Billy Bodin (Swindon Town), Jonathan Williams (Crystal Palace), Robert Ogleby (Hearts-loan East Fife), Elliott Hewitt (Macclesfield Town), David Stephens (Hibernian), Kieron Freeman (Nottingham Forest), Reece Jones (AFC Wimbledon), Casey Thomas (Swansea City), Richard Peniket (Fulham). Jake Howells looks set to start. [5 Aug 11]. updated: Tue, 9 Aug, 2011 15:20 UK. Brian Flynn has named the Under 21 squad for the friendly international against Hungary. Match to be played at the Conygar Bridge Meadow Stadium, Haverfordwest, on Wednesday 10th August 2011 , kick off 6pm. 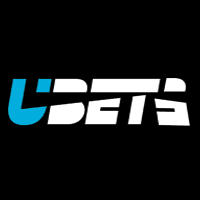 The match is in preparation for the upcoming UEFA Under 21 matches againsat Montenegro (Away and at Home) and the Czech Republic (Home). Rhys Taylor (Chelsea), Chris Maxwell (Wrexham), Paul Dummett (Newcastle United), Daniel Alfei (Swansea City), Ashley Richards (Swansea City), Tom Bender (Colchester United), Troy Brown (Rotherham United), Joe Walsh (Swansea City), Lee Lucas (Swansea City), Joe Partington (Bournemouth), Jake Howells (Luton Town), Jake Taylor (Reading), Billy Bodin (Swindon Town), Jonathan Williams (Crystal Palace), Robert Ogleby (Hearts-loan East Fife), Ryan Doble (Southampton), Tom Bradshaw Shrewsbury Town), Elliott Chamberlain (Leicester City). Jonathan Bond (Watford), David Cornell (Swansea City), David Stephens (Hibernian), Kieron Freeman (Nottingham Forest), Elliott Hewitt (Macclesfield Town), Arron Holloway (Bristol City), Reece Jones (AFC Wimbledon), Jonathan Meades (Cardiff City), Jake Cassidy (Wolves), Casey Thomas (Swansea City), Josh Dawkin (Norwich City). posted: Sat, 30 Jul, 2011 12:48 UK. The new Wales kit is set to be unveiled ahead of the friendly international against Australia on Wednesday. The new kit will feature the new FAW crest. Get your hands on it from early September at your local JJB Sports store. updated: Wed, 10 Aug, 2011 17:40 UK. Tickets for the match are available from the Cardiff City Stadium Ticket Office on 0845 345 1400 from 9am until 6pm on Monday and Tuesday. Tickets can also be purchased from 9am until half-time on matchday. On the evening of the match there will be cash ticket booths located around the stadium and the Ticket Office will also be open for card sales. Ticket prices as follows: Adults - £15.00, Juniors - £5.00, Senior citizens - £5.00. Ticket Sales - Just over 5k (Wales and Australia) - (Monday 8 Aug 11). Priority ticket application forms will be posted to members of the Wales Supporters Club and Welsh football club secretaries during the next week. Members and clubs have priority until 22nd July, after which tickets reserved by FAW will be released back to Cardiff City Stadium for general public sale. The Wales Supporters Club is still open to new members, membership lasts until the end of this qualifying campaign and costs £25 for Gold members, £15 for Silver members and £5 for Junior members. General public sale starts on Monday 11th July from Cardiff City Stadium on 0845 345 1400. Ticket prices start from £5 for Senior Citizens and Juniors. Australia Supporters � tickets are available from Cardiff City Stadium from 11th July. Please ask for the away end. Tickets cost £15 for adults and £5 for senior citizens / juniors. posted: Tue, 28 Jun, 2011 22:15 UK. updated: Sat, 6 Aug, 2011 15:25 UK. updated: Tue, Aug 2 2011 12:32 UK. updated: Sun, 31 Jul, 2011 10:42 UK. 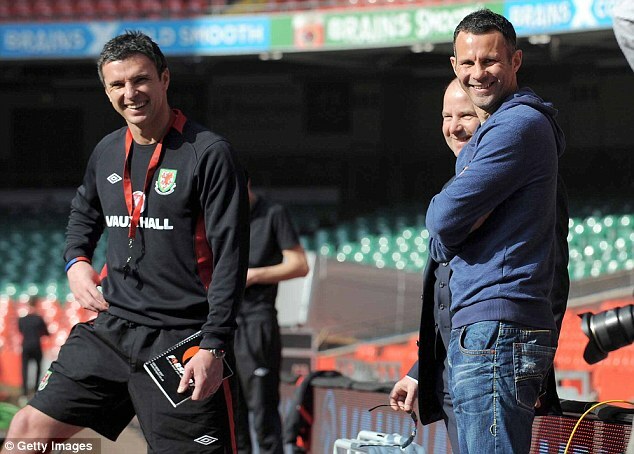 Gary Speed believes Wales will be a strong team in time for the 2014 World Cup qualifiers. Gary Speed accused organisers of the Carling Nations Cup of disrespecting his side after a 3-1 loss to Scotland. The Football Association of Wales has confirmed that Wales will play a friendly international against Australia on Wednesday, August 10th. The venue will be the Cardiff City Stadium and kick off will be at 7:45pm. 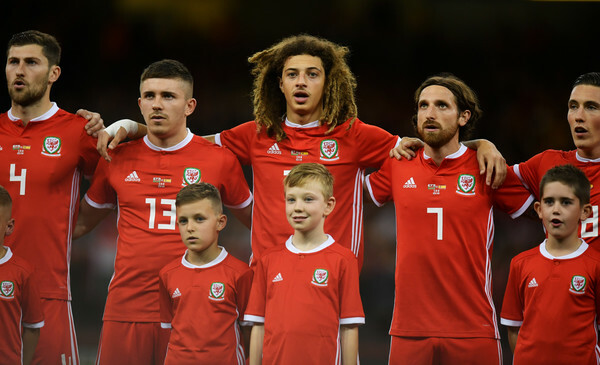 This will be the first of two international fixtures at the Stadium in the space of three weeks with Wales set to face Montenegro in Cardiff on Friday, September 2nd. The FAW has also confirmed that the final home fixture in the Euro 2012 qualifying campaign against Switzerland will be at the Liberty Stadium in Swansea on Friday, October 7th. updated: Tue, 28 Jun, 2011 20:06 UK. 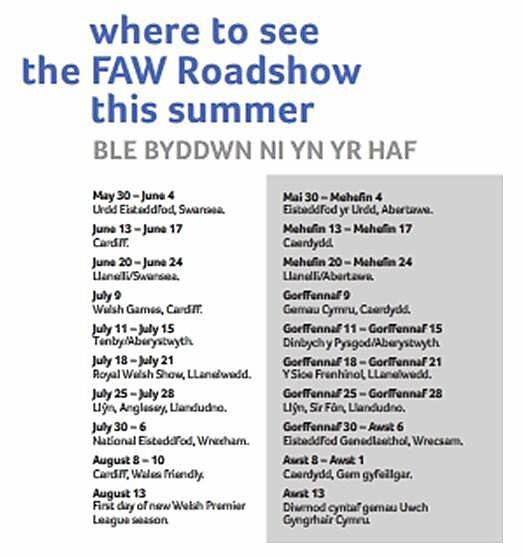 The FAW have confirmed the dates and venues for International matches to be played in Wales (late Summer/Autumn 2011). 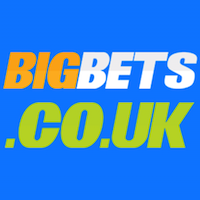 10th August � FRIENDLY: Wales v Australia (Cardiff City Stadium). 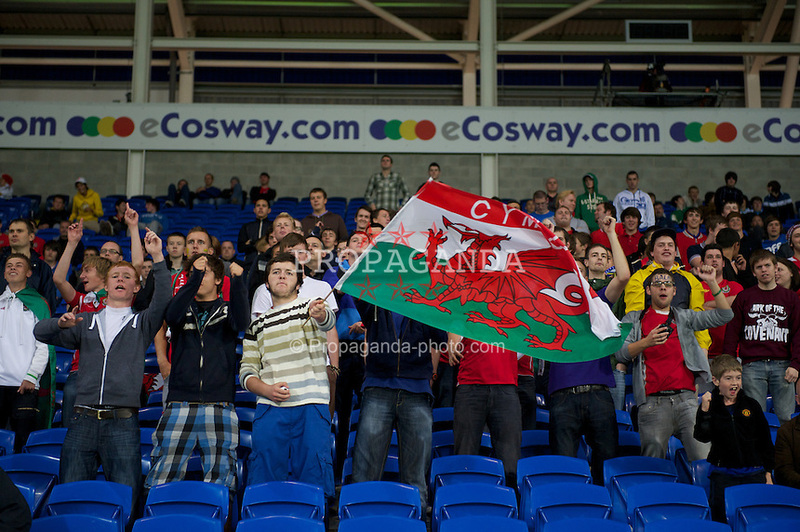 2nd September � EURO 2012: Wales v Montenegro (Cardiff City Stadium). 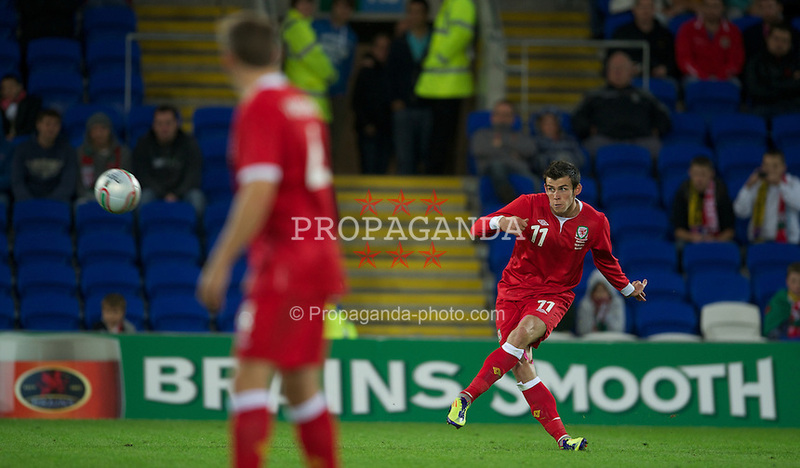 7th October - EURO 2012: Wales v Switzerland (Liberty Stadium). posted: Thu, 12 May, 2011 13:18 UK. Tickets for England v Wales Euro 2012 qualifer on Tuesday 6th September 2011 will go on sale only to members of the Wales Supporters Club. Gold and Junior members are guaranteed one ticket each, it's possible tickets may also be released to Silver members. Full details will be released when the FAW have confirmation of the allocation from the English FA. For Wales Supporters Club membership information, please go to www.faw.org.uk and follow the Tickets link. posted: Tue, 14 Jun 2011 20:25 UK. The ongoing corruption allegations against JS Blatter and his lieutenants at the very top of the FIFA tree come as no surprise to the No Team GB campaign. For the past five years we have been questioning the assurances that FIFA representatives have been making with regards to protecting the independence of the football teams of the four home nations (England, Northern Ireland, Scotland and Wales). FIFA have flip flopped on their views towards a GB football team participating at the 2012 Olympic Games in London. In March 2008 Mr Blatter stated “If you start to put together a combined team for the Olympics, the question will automatically come up that there are four different associations so how can they play in one team”. This was then contradicted by Jerome Valcke the following year when he offered assurances that that the four home nations would have their independent identities protected. This assurance from Mr Valcke was made in spite of the fact that no individual from FIFA can make this promise on the basis that it could be altered at any future FIFA congress. This was the same Jerome Valcke who was sensationally sacked from his Marketing position at FIFA in 2006 by Mr Blatter after he was found guilty of violating the negotiation rules with the FIFA sponsor MasterCard after going behind their back and holding concurrent discussions with VISA. Mr Valcke was then made FIFA General Secretary in 2007 in yet another flip flop decision by Mr Blatter. Perhaps Mr Valcke was party to certain information that forced Sepp’s hand to bring him back into the FIFA family? Mr Blatter and Mr Valcke are now at the centre of allegations of cheating, unethical behaviour and corruption. They are in the dock with Jack Warner and Mohammed Bin Hamman. Meanwhile, FIFA have cleared the unethical charges against Amos Adamu and Reynald Temarii who were exposed in an article in the Sunday Times of promising world cup votes for cash. Lord Coe was the first chairman of the FIFA Ethics committee when he was appointed to the role in 2006. After the farce of England’s bid to host the 2018 FIFA world cup, it would be interesting to hear Lord Coe’s views on the FIFA ethics committee and the rules and scope which govern that committee. 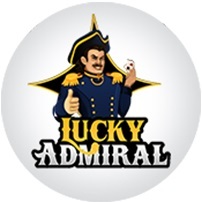 In the past few years there have been a number of high profile British citizens who have been on the receiving end of FIFA surprises (Lord Triesman, Geoff Thompson, John McBeth, David Cameron, David Beckham, Lord Coe, Prince William to name a few). Quite how the British Olympic Association and the English Football Association can continue to propose that a GB Football Team participates at the 2012 London Olympics on the back of FIFA assurances beggars belief. Paul Corkrey, spokesman for No Team GB is also quoted, "Its no surprise to the Welsh fans that Blatter got 186 votes in his re-election, as to vote against him would be like Turkeys voting for Christmas"
Can any assurances from FIFA be trusted?